While self-described 'post-conservative evangelicals' enjoy increasing influence in the evangelical world, they represent a significant challenge to biblical faith. 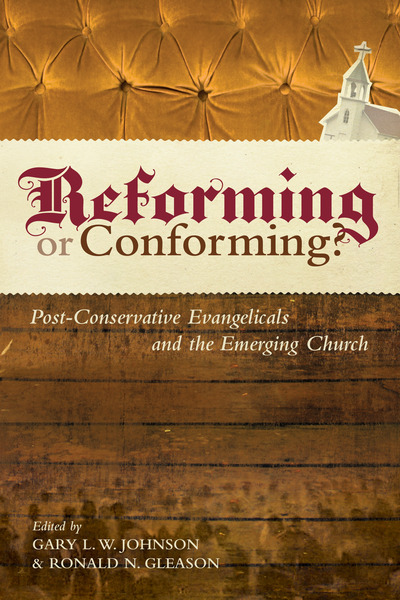 Popularizers like Brian McLaren (of Emergent Church fame) trade on the work of scholars like Stan Grenz, John Franke, and Roger Olson, whose 'innovations' represent a major makeover of traditional and historic evangelical theology. This is especially the case with the doctrines of Scripture, the atonement, and the character of God-all of which stand at the center of evangelical Christianity.